Encounter gentle giants and other playful primates in our customized excursions. Are you longing for an African wilderness adventure that takes you deep into the heart of the evergreen Kibale Forest? Or, are you hoping to catch a glimpse of Uganda’s stunning avian wildlife? Bushman Safaris is proud to offer these experiences and more with our range of unforgettable gorilla safaris. These carefully coordinated, multi-day endeavours ensure you and your fellow travel companions have a unique vacation. Take in the majestic brilliance of the area’s natural wildlife habitats, and savour cultural traditions that are sure to leave lasting memories. It all begins by reaching out to us and booking your safari today. Our gorilla safaris often give you a chance to witness several primate species. To do this, our safari experts take you deep into their homes as a guest. One day, you may find yourself enjoying the scenic views and culture of Fort Portal before exploring the evergreen Kibale Forest – a breathtaking wild chimpanzee habitat. Another day, we may delve deep into the enchanted atmosphere of the Bwindi Forest for further glimpses of local wildlife. Regardless of where our gorilla safaris may take you, rest assured that you’re in for a treat every day. There’s a chance you’ll encounter everything from adorable wild chimpanzees to red-tailed monkeys and black-and-white colobus monkeys. Of course, the standout experience for many of our guests is the privilege of witnessing the Bwindi gorilla families playing, interacting with one another and living their best lives. It’s a spellbinding experience unlike any other to be in the presence of these gentle giants. 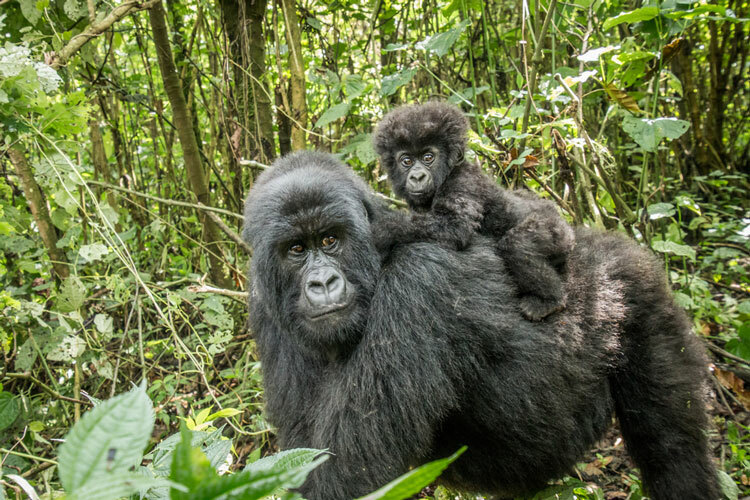 Our gorilla safaris take you deeper into the heart of the African wilderness than ever before. Cross the majestic savannah, explore picturesque crater lakes and bask in the glory of towering falls. Or, go on leisurely boat cruises while sampling the finest local cuisine and traditions. There’s something here for everyone, from first-timers to seasoned Ugandan explorers. And with the guidance of our well-trained, experienced safari experts, rest assured that your safety and comfort is safeguarded the whole way. 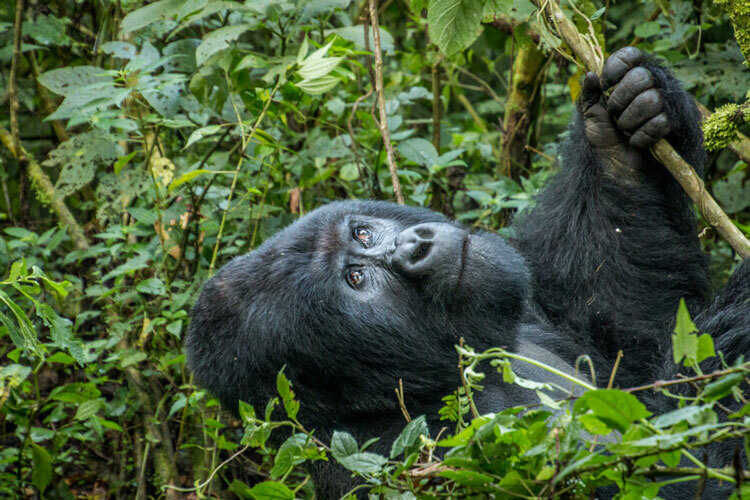 If you’ve been dreaming about embarking on an African or Ugandan safari that doesn’t leave out the ultimate gorilla experience, Bushman Safaris is an ideal choice. Our gorilla safaris give you access as a guest in the home of these gentle giants as well as other primates native to the regions you visit. For an exciting, eye-opening and inspirational new adventure, contact us today.